Defender D2 Starts with the puck, skates behind the net. 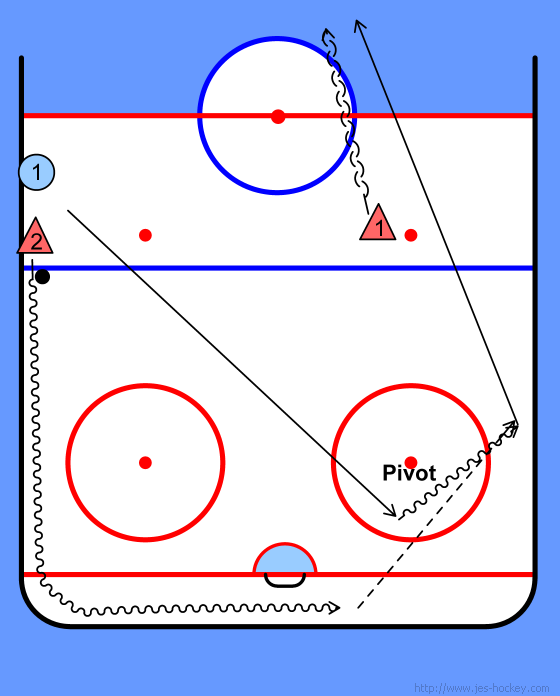 Forward F1 skates across the front of the net and pivots so that they always face the puck carrier. Eye contact the two players.